Star Wars Ship Creator and Modeler, Colin Cantwell, for Star Wars "A New Hope"
Welcome to Colin Cantwell’s site. Here you can learn about his amazing career and find out where to meet him at upcoming events (scroll below). 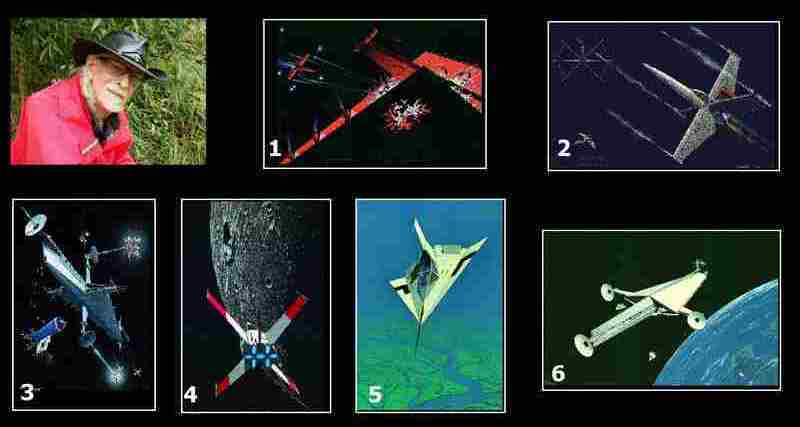 You can also purchase prints of his original 1974 Star War’s ship concepts. Colin was at the very start of Star Wars. Now, you can own a piece of Star Wars’ history. While you are here . . . check out his sci-fi novels, CoreFires i and CoreFires II. You won’t want to miss these good reads. Fans of the Death Star, Millennium Falcon, Star Destroyer, TIE Fighter, X-Wing, Sky Hopper, and the rest of the iconic ships created by Colin Cantwell will want to see the new developments at his table at one of the Cons above. Don’t miss Colin’s Panels where he describes various projects including: – His Star Wars’ ship designs/models, scene designs & his work with Lucas – His contributions to the success of “2001, A Space Odyssey” – How he worked with Walter Cronkite on the First Moon Landing; – His work at NASA – Plus Colin’s work in War Games, Buck Rogers, Close Encounters etc. Star Wars Ship Creator, Colin Cantwell, has been under the radar for much of his recent life until now. During his amazing career, he worked with George Lucas on designing the X-Wing, TIE Fighter, Y-Wing, Death Star, Millennium Falcon, and Star Destroyer for the very first “Star Wars” movie, “A New Hope”. In addition, he collaborated with Stanley Kubrick on “2001 a Space Odyssey” (in which he was responsible for suggesting the theme song, “Also sprach Zarathustra“), and he worked with Steven Spielberg on “Close Encounters of the Third Kind,” Other projects included “War Games”, “Buck Rogers”, “Mars, the Search Begins”, “Around the World in 80 Days” and more. One of his favorite achievements is sitting behind Walter Cronkite and being known as the “Hal 9000 Computer” that gave Walter the progress of the first Apollo 11 moon landing while Walter was broadcasting on live TV. On this site you can find prints and other products showing the original concept drawings that Colin presented to George Lucas before Colin was hired to design the ships for the first Star Wars film. Check out the links above to Colin’s “Star Wars” Inside Stories as well links to his books, “CoreFires 1” and the upcoming “CoreFires 2”. Colin’s work is copyrighted and this the ONLY site (and it’s links) where Colin’s work is available.